Donna Leon authors a police procedural series set in Venice featuring Guido Brunetti, a vice-commissario of the Venice police, when the series starts. Later he is promoted and called Commissario Brunetti. 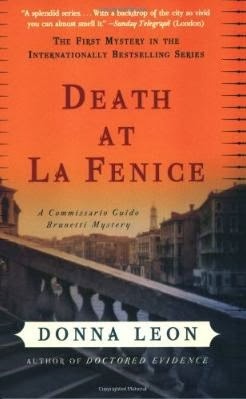 The first book in the series, Death at La Fenice, is one of the better books in the series, but there is something disappointing about the ending that I cannot reveal here. But as the investigation unfolds, a chilling picture slowly begins to take shape—a detailed portrait of revenge painted with vivid strokes of hatred and shocking depravity. And the dilemma for Guido Brunetti will not be finding a murder suspect, but rather narrowing the choices down to one. . . . I've read many of the Brunetti series books, but have grown to dislike them the further the series progresses. The books become progressively more offensive in the bigoted views espoused by the main characters, and the writing becomes less polished. Details, like characteristics assigned to Brunetti, are contradicted. Even his apartment gets rearranged! There are copious loose ends and weak plots. The books come across as rush jobs. If you can overlook these things, then you may enjoy the series. Even if I'm not a big fan of the series, I am a firm believer that everyone should visit Venice, Italy, before it is swallowed by the sea. 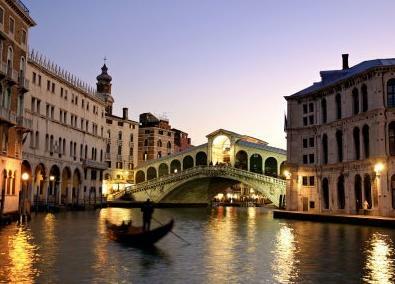 Even the jaded, rude Venetians can't ruin it, too much, for you. 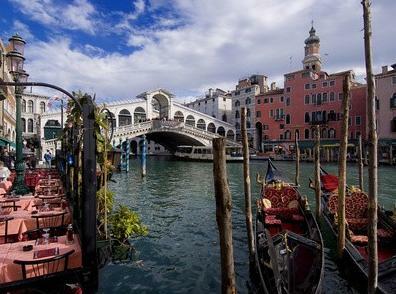 Here is a lovely 3 minute video postcard of Venice. German television has made a TV series based on the books. 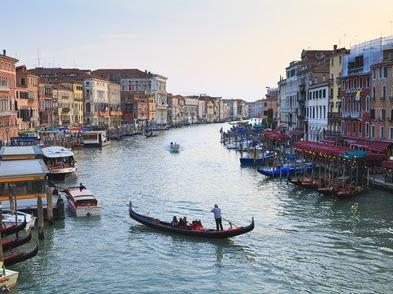 The filming on location in Venice is stunning, bringing the real appeal of these books to the fore. The plots do not always follow the books, luckily. They improve on the books. The television writers fix the plot holes and readjust the unconvincing characters. The series is much better than the books. I highly recommend it. It is available with English subtitles. The books in the series are available in various format. Here are the versions of Death at La Fenice available at Amazon.com.